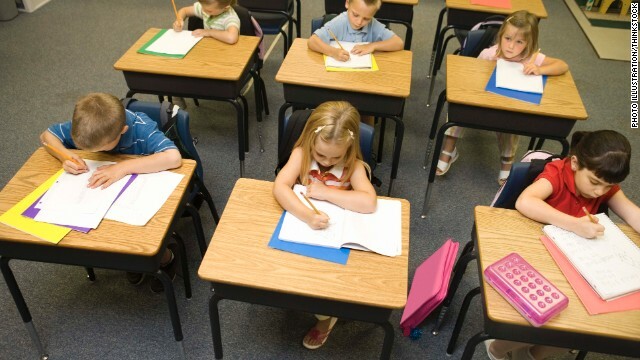 The study authors surveyed more than 15,000 children nationwide and tracked them from kindergarten through eighth grade, checking in at kindergarten and first, third, fifth and eighth grades for a formal ADHD diagnosis. "The strength is in the number. It's a solid study ... and reflects the whole country. " said Dr. Max Wiznitzer, a pediatric neurologist at Rainbow Babies and Children's Hospital in Cleveland who was not involved in the study. Previous studies have looked at disparities between African-American children and white children, but this is the first study to look at a larger array of minority groups, said lead study author Paul Morgan. Disproportionate populations are an issue in special education, said Morgan, an education professor at Penn State. "Typically, what's been reported is over-representation," he said. "The tendency is that more minorities are overplaced in special education. But when you control for a lot of background characteristics, so that the only thing that you measure, the few studies that do that for special education, (have) found that minorities are less likely to get services." Even when Morgan and his colleagues accounted for factors such as socioeconomics, low birth weight, and mother's age, the disparity in ADHD diagnosis between minority and white children persisted. "I think we can say the disparities occur," he said. But researchers don't know why - "that warrants other investigation." But what this study can do, said Morgan, is alert clinicians and educators to take a closer look when evaluating minority children for ADHD. "Starting off early is really important," he said. "It's important to diagnose early because the learning issues can compound, and snowball and spiral negatively as you get older." Next entry »Should your child get ear tubes? « Previous entryFewer, larger meals key to weight loss? Thanks for your advice on this blog. One thing I would wish to say is that purchasing electronic devices items on the Internet is nothing new. Actually, in the past ten years alone, the marketplace for online electronics has grown significantly. Today, you could find practically any kind of electronic unit and product on the Internet, from cameras and camcorders to computer parts and gambling consoles.